An awful spectacle at Fir Park ended with the loss of a goal in added time to gift St Johnstone three points. 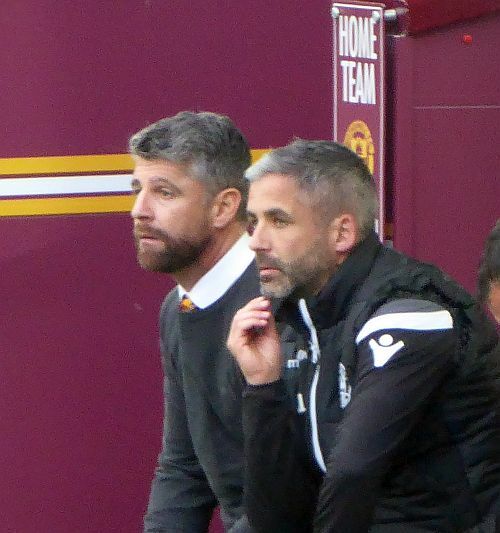 Motherwell offered effort but no suggestion of a way through the opposition defence. The shame was that the home crowd sensed what was about to happen. A minute into added time saw us concede a corner. With a central defender still receiving treatment beyond the bye line the St Johnstone winner arrived at the far post when the set piece was delivered. There were hopeful signs as the game started. We welcomed the return of Charles Dunne to stiffen the back three and a start for David Turnbull in midfield. Both players were still on the park as the game ended. That was the end of the good news. What followed was a horrible football match. It was a hard fought affair as indicated by three substitutions before the break but short on controlled spells of play. Goal chances were few and unlikely. Main headed wide Watt tested Carson. Turnbull fed Campbell for a bash from 25 yards but the attempt was high. Our best chance came early in the second half. Curtis Main had a decent opportunity from the angle of the six yard box but his shot was still rising as it entered the Cooper Stand. There was no confidence anywhere in the claret and amber shirts. Frear and Johnson were given a run but to no effect. St Johnstone were hardly much better but as the game entered the last quarter they pinned us back. It looked like we might share the spoils but Kerr’s late, late header sent the 249 away fans back to Perth with a smile. The manager is now under real pressure. Five points from nine games is not acceptable and the upcoming relegation scrambles with St Mirren and Dundee might determine his fate.